One of Sydney’s only exclusively low force, no cracking, gentle chiropractic health clinics focusing on fast relief of musculoskeletal pain for those in and around Norwest. We here at Gentle Care Chiropractic Norwest aim to provide fast relief of musculoskeletal pain using only the safest and most gentle methods. This means that side-effects from treatment are reduced and your comfort is increased. 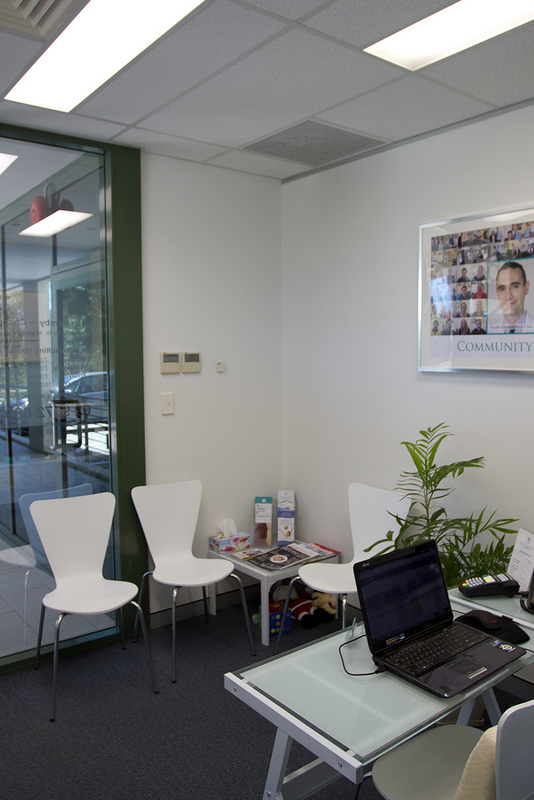 We are situated in the beautiful suburb of Bella Vista, in Sydney’s North-West region. No referral is necessary and new patients are welcome for same day or next day appointments. We have parking on and off site, health fund rebates, multiple payments options, accept GP referrals (although this isn’t necessary), and have a relaxed office environment. 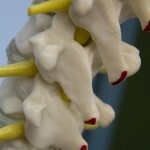 Our chiropractic treatment techniques of choice are Sacro-Occipital Technic (SOT) and Activator Methods Chiropractic Technique (AMCT) which are gentle and effective low force methods. This approach enables us to work with the body in an extremely safe manner, and is suitable for young and old alike. We combine this with rehabilitation therapy to provide positive treatment results. View our services to find out more about what we do. Click here to find out more about our doctor. Our mission is to help as many people as possible reduce their back pain. We dream of a population that is healthy, active and has minimal back pain. At our centre in Norwest, we strive to relieve human suffering and promote optimization of health through gentle, effective health care solutions that are delivered with integrity, compassion and understanding. Thus we are committed in assisting you toward resolving your health concerns in a supportive and understanding chiropractic environment. 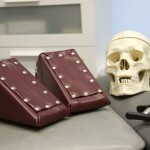 To provide a unique environment where a wide variety of musculoskeletal problems can be addressed in a gentle and effective manner. 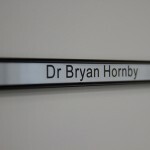 Dr Bryan Hornby spent the first part of his chiropractic career as a full time locum. 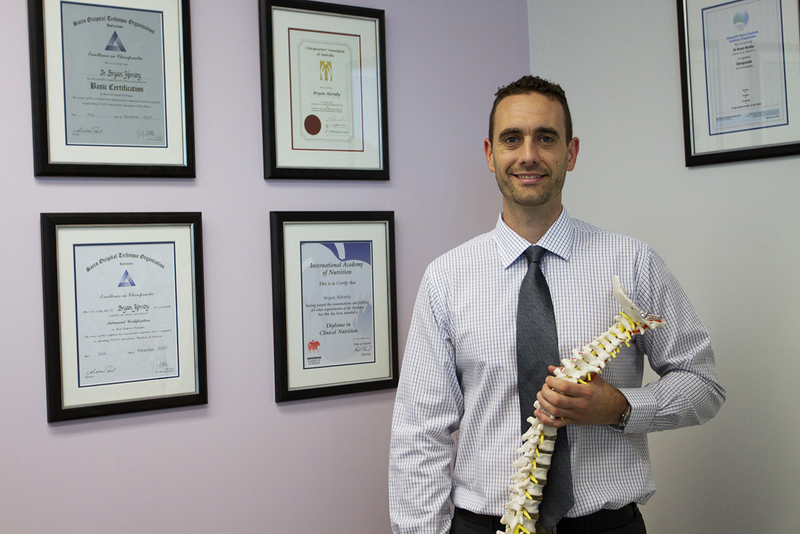 As a locum chiropractor, he worked at 12 different clinics across 5 states in Australia. During his 4 year travels as a locum, seeing more than 7,000 patient visits from all walks of life, he came to realise that a large number of musculoskeletal problems (such as back pain, neck pain, headaches, shoulder pain, etc) could be effectively helped with gentle treatment approaches. This revelation was in total congruence with Dr Bryan’s philosophy of achieving treatment results through safety and risk reduction. Since gaining this insight, he has dedicated himself to studying these methods. 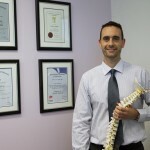 Dr Bryan has gained Advanced Certification and has even started teaching other chiropractors in NSW and VIC to master these techniques too. To specifically address the needs of families and workers in the Hills, Norwest Business Park, and surrounding areas. People in the Hills and Norwest Business Park are fantastic – they work hard, are friendly, and have an interest in health and wellbeing. Sadly though, prolonged hours at work where they often sit or stand in the one position for many hours may lead to problems. A lack of activity and movement is definitely on the increase – many people sit down driving to work, sit down at work, sit down driving home, and the sit down to watch TV at night time. Combine this with an aging population, and there is a huge potential for joint and musculoskeletal problems to be on the rise. 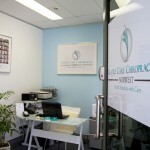 For example, research indicates that people that sit down for extended periods may have a higher chance at developing low back pain/disc problems in their back.The treatment approach at Gentle Care Chiropractic Norwest is aimed at meeting the needs of the community through addressing these issues, and promoting good health. 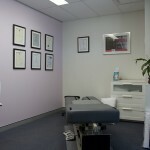 After his extensive experience across 5 different states in Australia, a majority of the conditions Dr Hornby encountered could be successfully managed and/or alleviated by using techniques that were non-invasive, gentle for the patient, and suitable for a wide range of ages. Reduce the risk of side effects from occurring. Be appropriate for people of all ages: from 90 years old to 9 days old. Be a relaxing and comfortable experience for you. 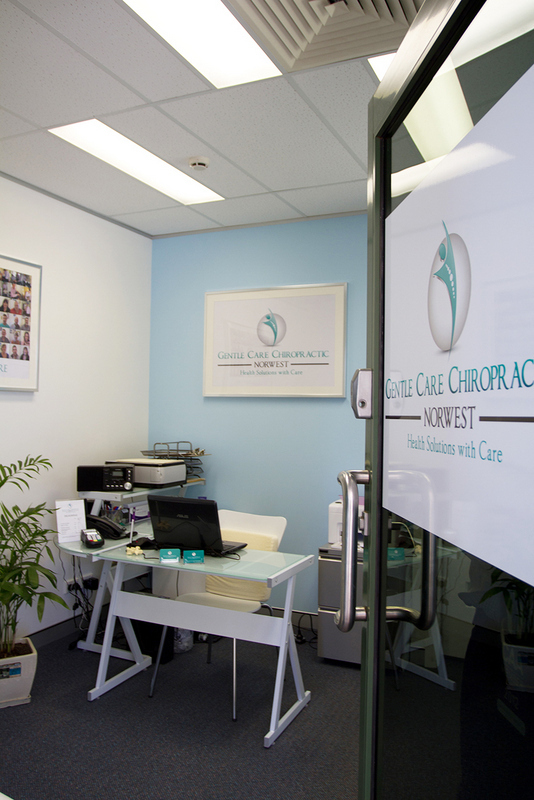 At Gentle Care Chiropractic Norwest, we treat a wide range of musculoskeletal conditions that may be experienced at different stages of life, at work or at home, with sports, or with injury. 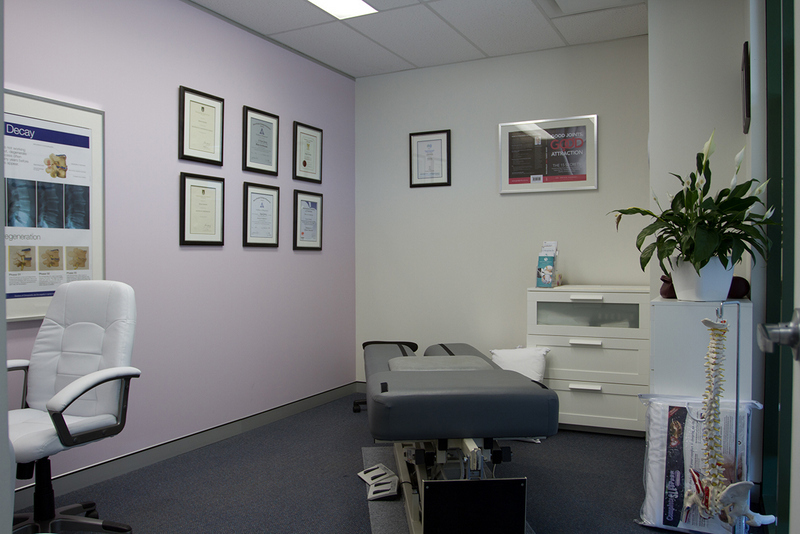 View a list of conditions that are treated at Gentle Care Chiropractic Norwest. 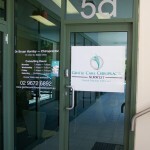 At present, chiropractic and rehabilitation services are provided at Gentle Care Chiropractic Norwest. 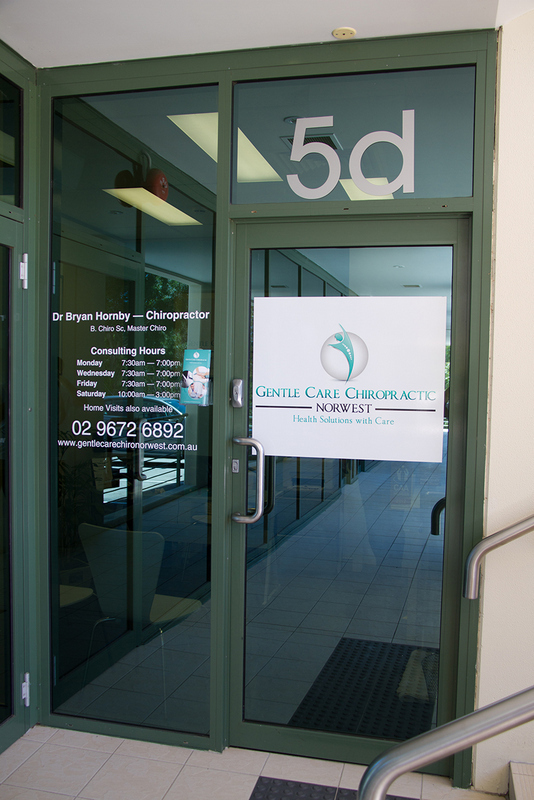 View the services that are provided at Gentle Care Chiropractic Norwest. Like to book an appointment by phone? Like to book an appointment online?